Work on dike 10 finally started last week. Here is an update from Excel Energy. Let me know if you have any questions. All permits are in place. We provided permits to Ross Peterson Construction and discussed requirements. Xcel personnel placed signs demarcating wetland areas at silt fence as a reminder to the contractor (see photo). The Town of Mercer is in the process of bidding the paving. 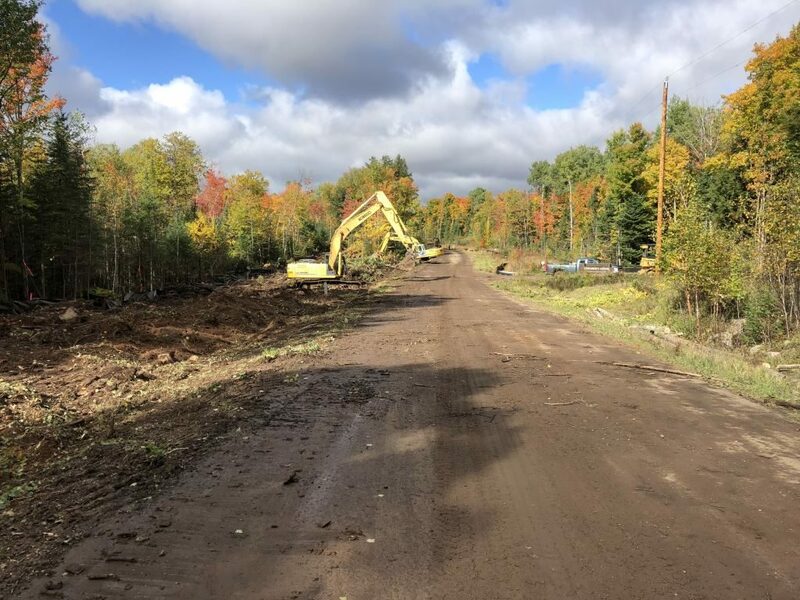 Town legal counsel advised the Town that they are required to bid this portion of the work as it is a public works project. At this point, it seems unlikely the pavement will be placed in 2010. Ross Peterson construction has mobilized, installed erosion control, and is clearing trees on the south side of the road. We dug a shallow test pit on the south side of the road across from the boat ramp entrance to determine depth to and composition of foundation material under wetland soils. We found a fine sand that appears to be suitable for a foundation. Ross Peterson expects to finish clearing next week and will then start removing organic surface soils under the footprint of the new dike. Xcel Energy and Ayres Associates personnel will visit the site when the foundation is exposed prior to placement of any embankment fill. We anticipate this will happen around the middle of next week (tentatively Wednesday). The boat ramps remain closed. There are barricades and signs to warn traffic of the construction. One lane remains open for local traffic, dam operator/attendant, emergency vehicles, and DNR access.